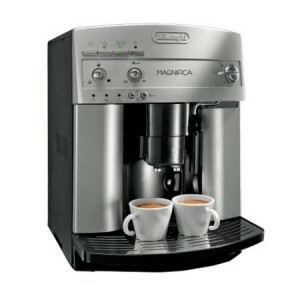 Maestria espresso machines are two of Nespresso’s more upscale and premium espresso machines. 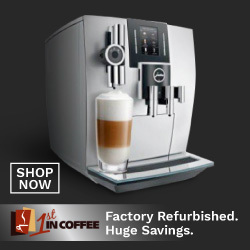 Built with highly premium materials, and offers more customization options, and gives you an espresso experience closer to a commercial and more industrial espresso machine, yet with the ease of a home espresso machine. 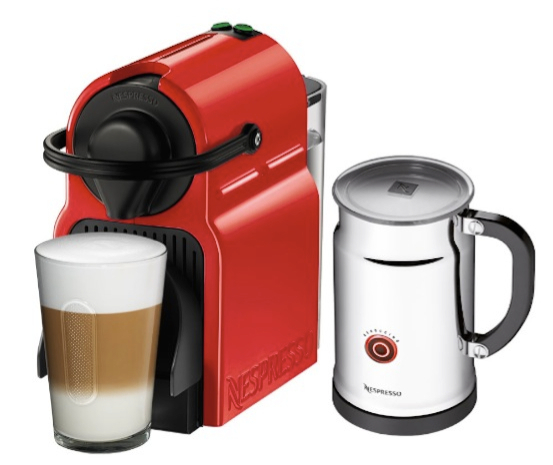 How Is The Nespresso Maestria Different Than Other Nespresso Machines? 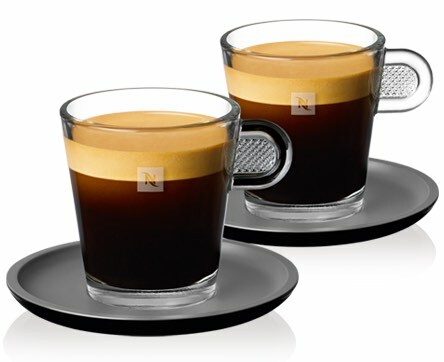 Essentially, all Nespresso machines work the same. 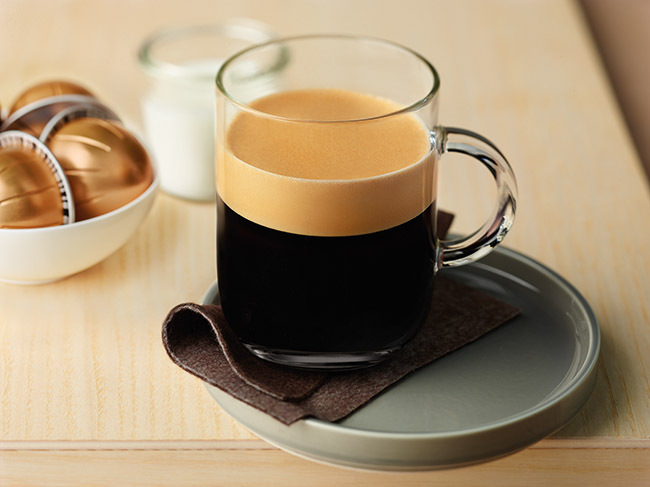 They use Nespresso’s capsules system to brew a single cup of espresso that is pre-measured and perfect every single time. 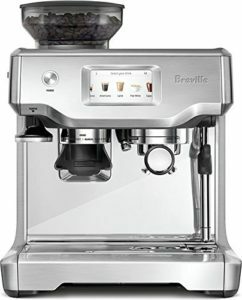 However, the Maestria and Gran Maestria are built differently, with anodized aluminum bodies, bigger water tank and more customization options than other machines like Pixie, U or CitiZ which will give you only two sizes (that are re-programmable). 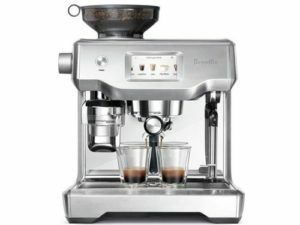 The Maesrtia line also uses a thermoblock heating system, which gives you better heat and pressure. 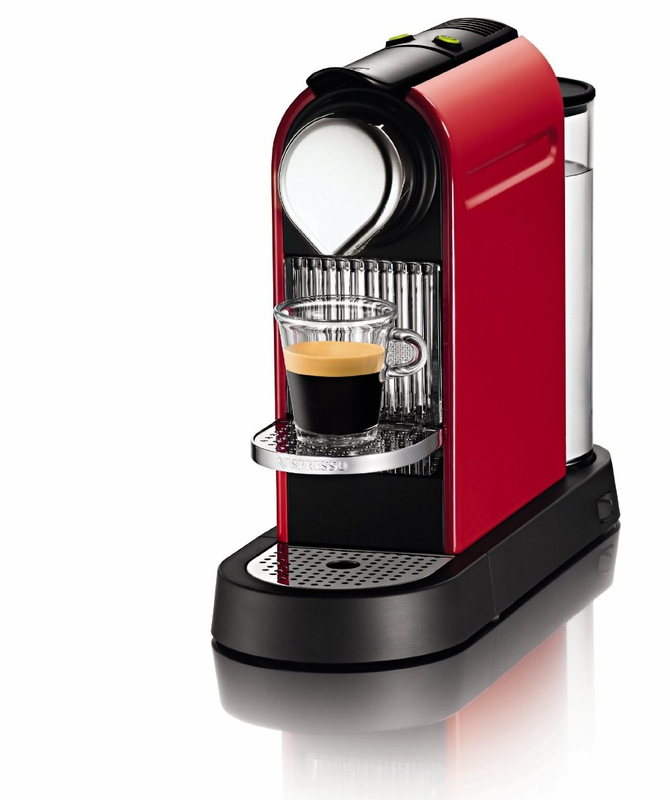 Used capsule drawer holds up to 14 capsules. Classic steam wand for milk frothing. 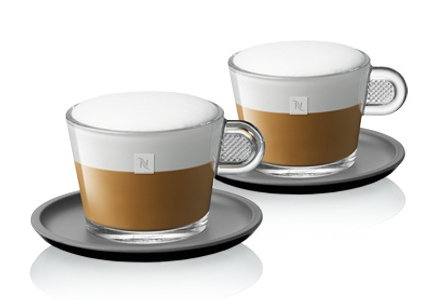 Pivoting cup tray to accommodate different cup sizes. 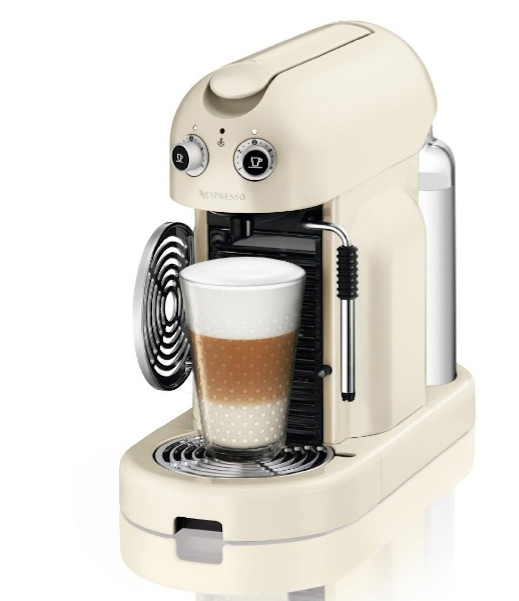 Available in cream or red. 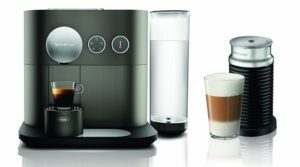 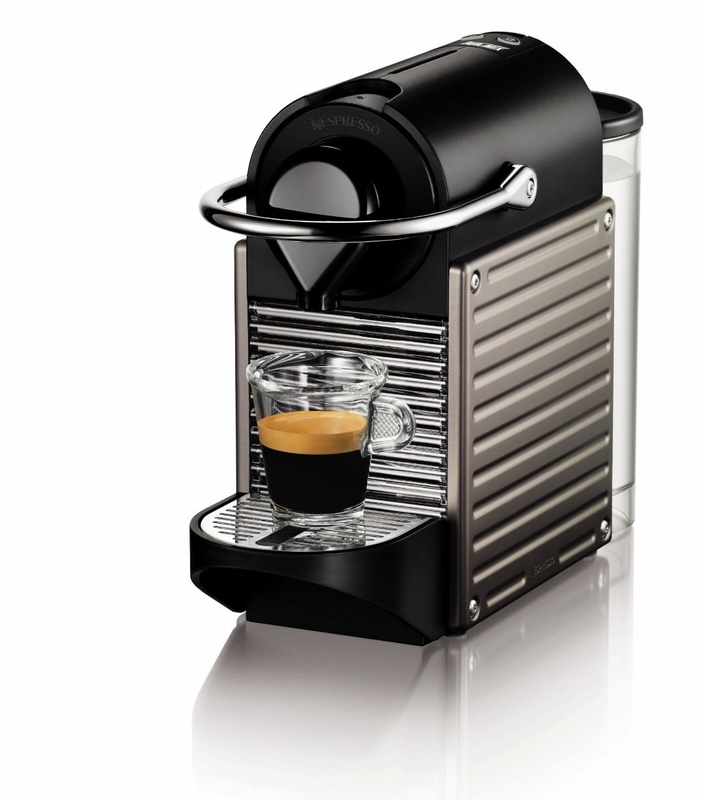 Click here to learn more about the Nespresso Maestria D500, read customer reviews and buy it. 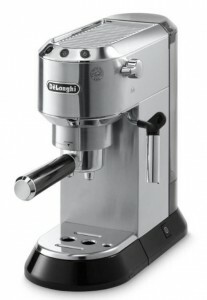 Stainless Steel Aeroccino automatic milk rother. 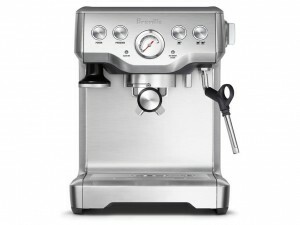 Available in platinum, titanium or black. 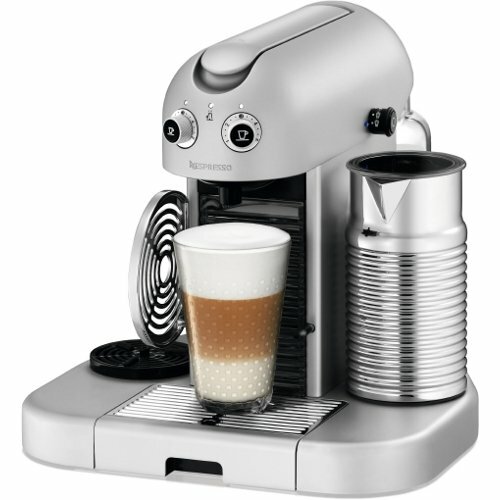 Click here to read more about the Gran Maestria D520, read customer reviews and buy it. 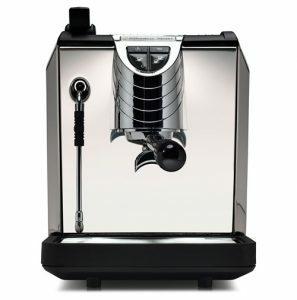 So, What Is The Difference Between the Maestria and Gran Maestria? 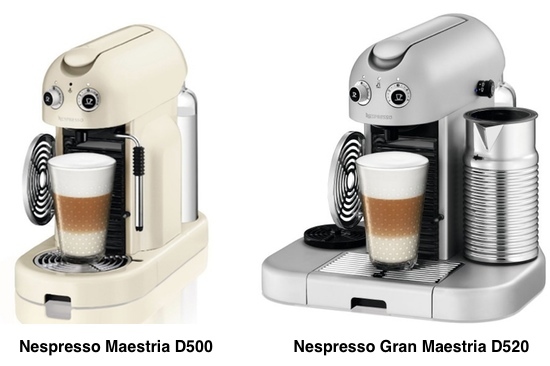 I would say both the Maestria and Grand Maestria are a better fit for more advanced users, the Maestria especially. 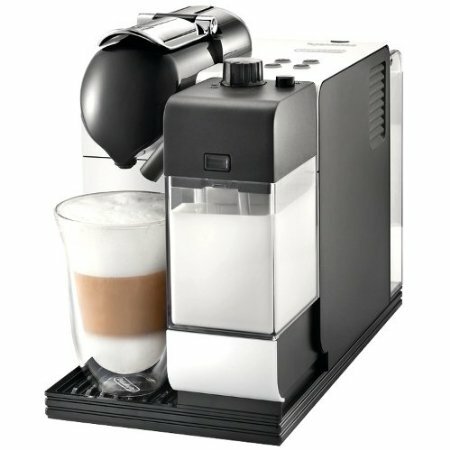 They’re both also more expensive than Nespresso U, Pixie and CitiZ, and are suited for someone with a budget of over $500. 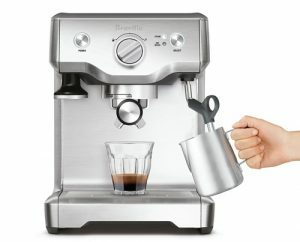 They are very well price considering that they are Swiss made and have full aluminum body, not to mention the thermoblock heating. 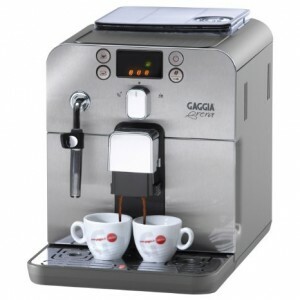 One of these two machines should last you a long time to come. 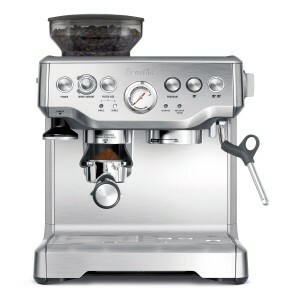 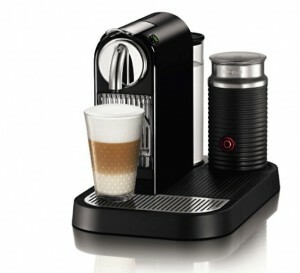 However, if you’re on a budget that is under $200-$300, you’ll be just fine with one of Nespresso’s other machines. 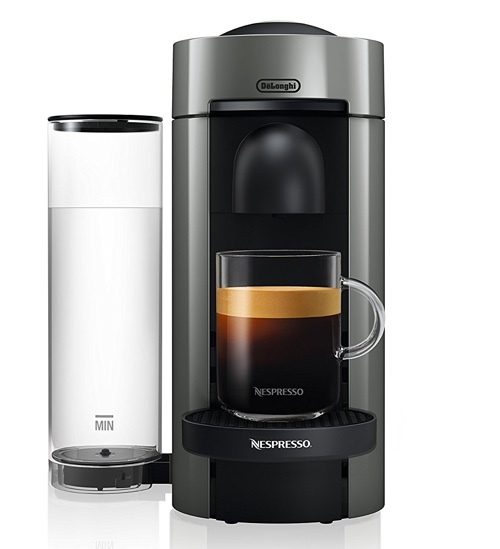 You’ll still get the same delicious coffee at the same level of convenience. 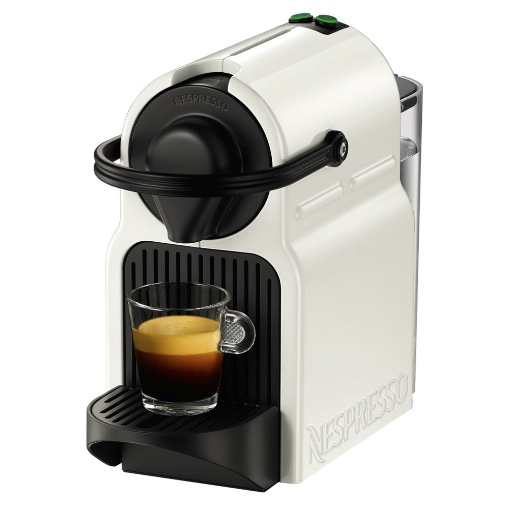 Click here to find other in-depth information on Nespresso machines. 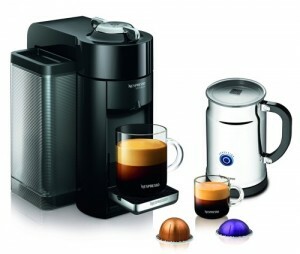 – Nespresso Gran Maestria vs. Lattissima Plus, What Is The Difference? 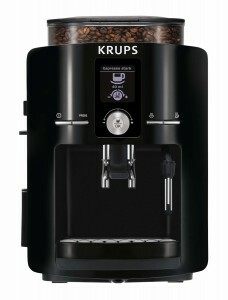 Gran Maestria: 47 oz. 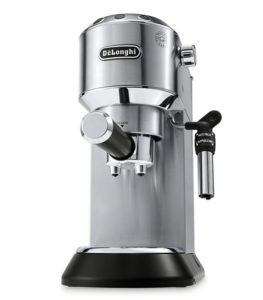 Lattissima: 30 oz. 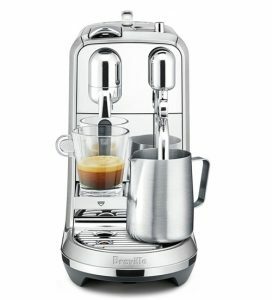 – How Does The Built-In Aeroccino Milk Frother Work? 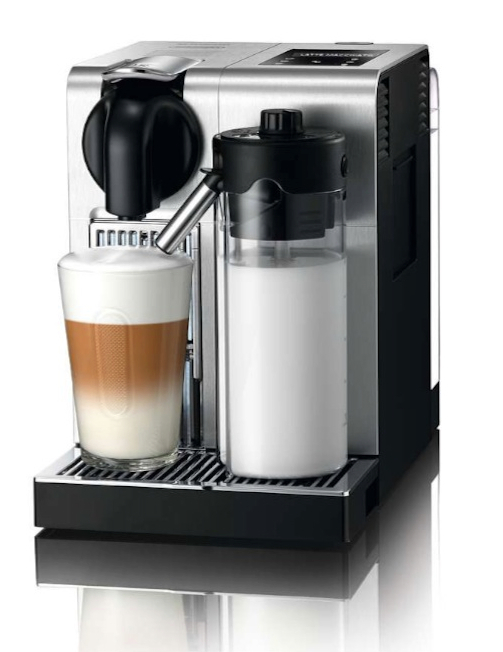 Simply pour in cold milk, select from 4 type of milk froth (Cappuccino froth, Latte froth, Steamed Milk or Cold Froth) and it will do the rest!